OrthoScan Mobile DI Mini C-Arm is a new c-arm that combines portability and ease of movement with crisp clear images and good functionality. 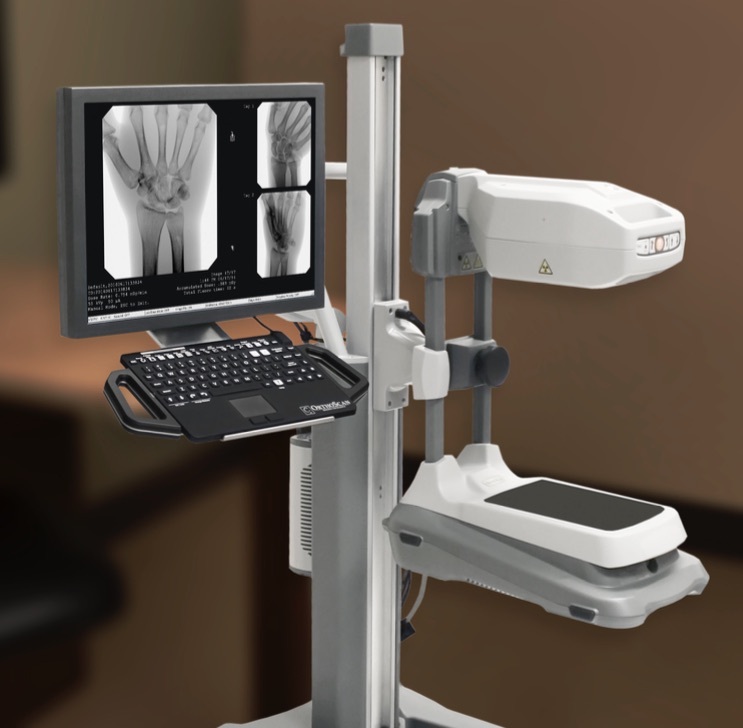 This new 2018 model OthoScan c-arm is capable of digital x-ray imaging of shoulder to fingertip and below the hip to the toes. 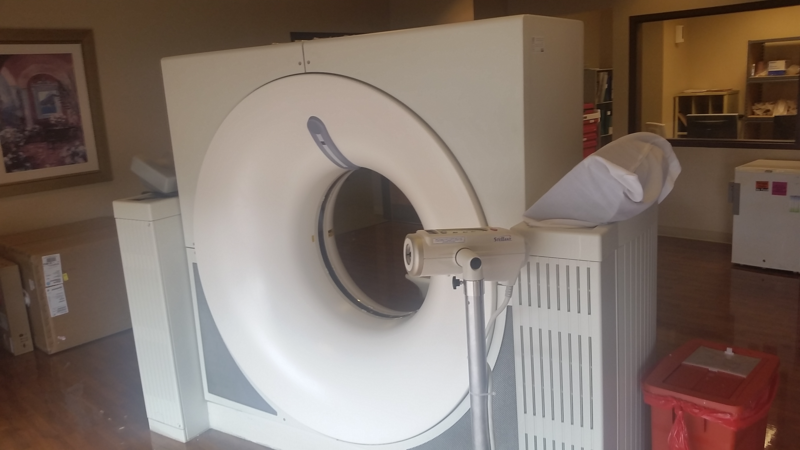 It is also capable of fluoroscopy – the motion can provide additional information for diagnostics, needle guided injections, and closed reductions. It can be stored in a custom suitcase with wheels and handle which is perfect for moving from one location to another. It can also be attached to an optional accessory cart for ease of movement within your facility. 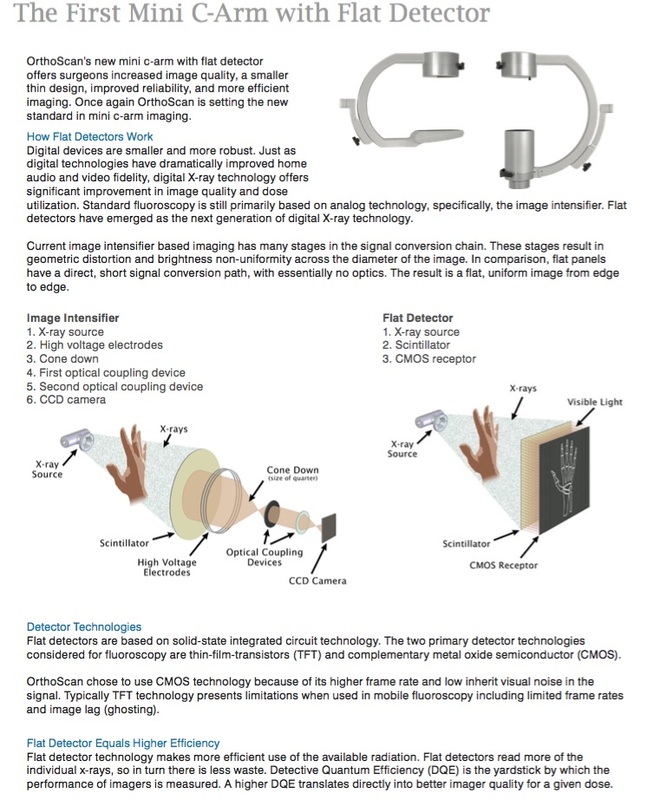 OrthoScan Mobile DI’s flat detector technology makes more efficient use of the available radiation. Flat detectors read more of the individual x-rays, so in turn, there is less waste. 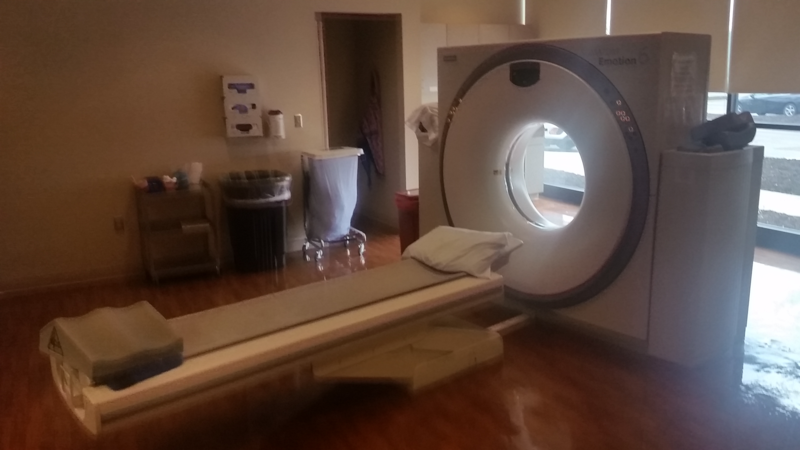 The Mobile DI provides immediate viewing with connectivity to PACS systems using DICOM (the gold standard for transferring images). The images (live and static) can also be viewed via “live” video feed to your on-site or off-site medical support. OrthoScan Mobile DI provides a unique solution for digital and fluoroscopic imaging in a portable mini c-arm designed for the unique imaging requirements of the Athletic Department. Mobile DI weighs approximately 35 pounds, is 25” in height, and will fit on a desktop or table. It may be attached on an accessory cart providing ease of movement between patient rooms, and allowing additional positioning capabilities for all necessary extremity imaging including, but not limited to, shoulder, elbow, hand, weight-bearing knee, and weight-bearing foot and ankle views. A wireless tablet display is available for portability for the various demands of athletic teams. The imaging device can be moved between venues in a protective mobile carrying case that is approximately 29”x32”x17”. The unit operates on a standard 110-120VAC, 60HZ outlet. 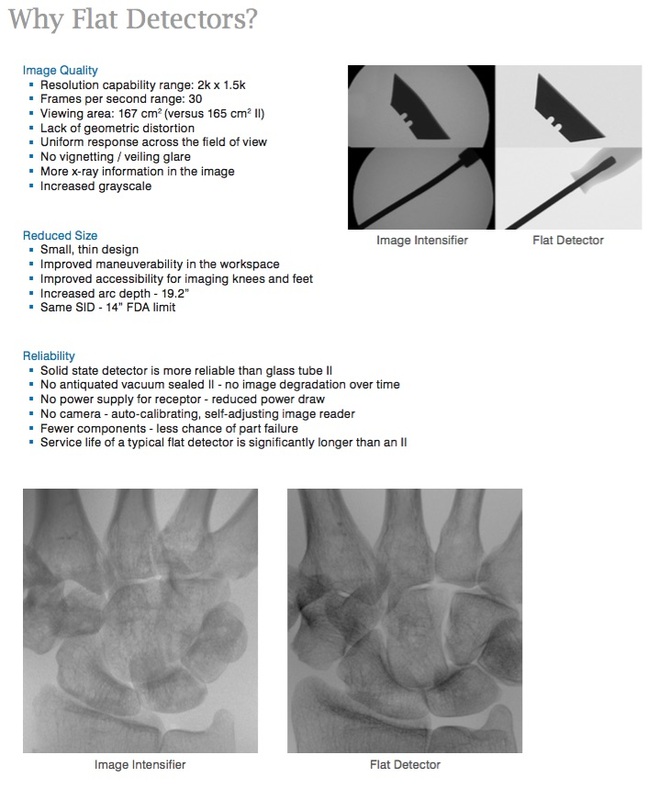 OrthoScan Mobile DI utilizes state of the art imaging incorporating a CMOS flat detector for high definition digital x-ray & fluoroscopy. 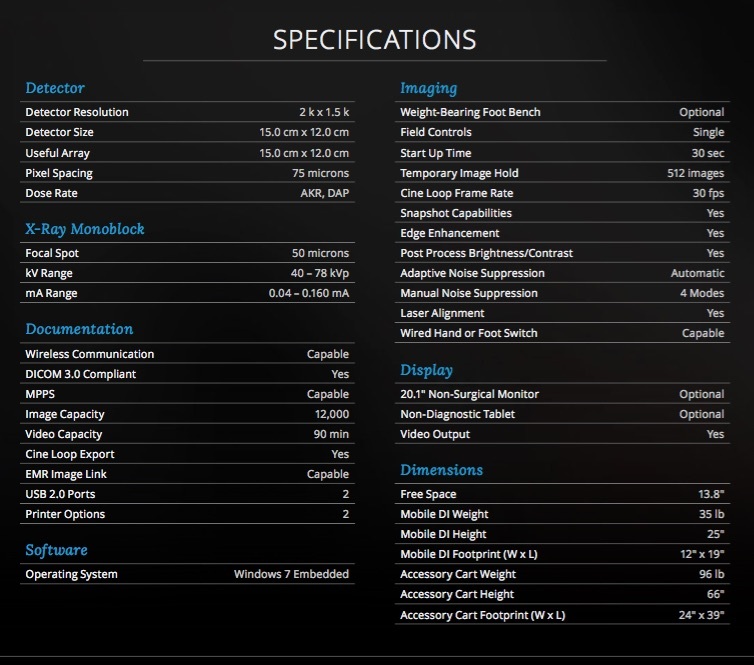 The Mobile DI flat detector resolution is 2k X 1.5k with a DQE of 70%. Boost mode is available for larger anatomy, allowing a kVp range of 40-78 and a mA range of .040-.160.